A traditional breakfast is cuscus, a steamed cornbread, eaten with honey and milk or coffee. 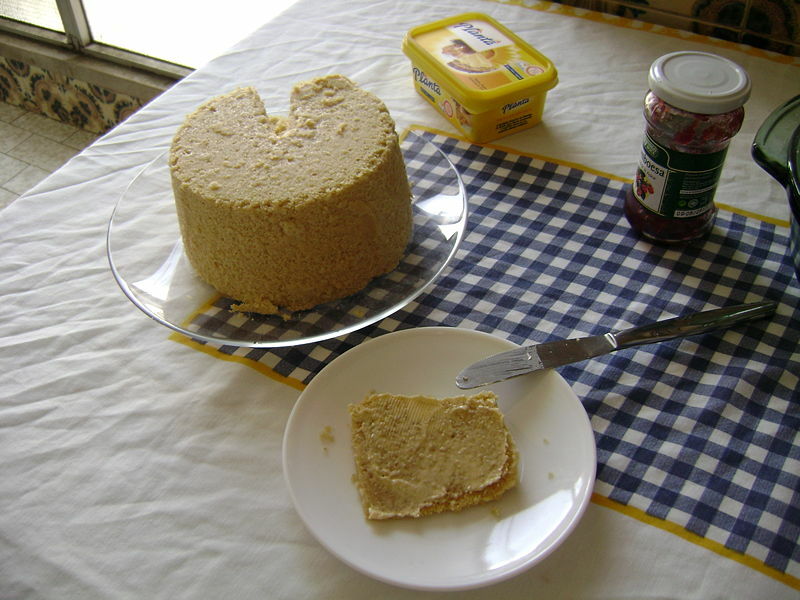 Despite the familiar name the Capeverdean recipe is quite different from the usual dish in North Africa, it’s more like a cake however in its preparation and especially the utensil, called “Binde”, being used there’s a direct connection with Senegalese cuisine. 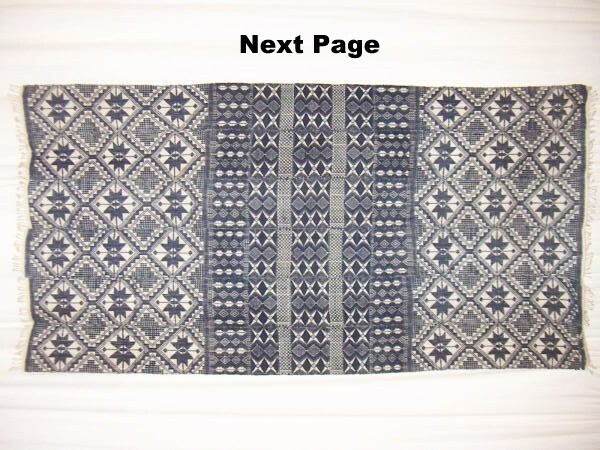 The word for Binde being a Wolof word. This quote’s from one of the earliest Portuguese travelling reports on Senegal by Valentim Fernandes (1507). It mentions Cuscus being a main dish for Senegalese at that time as it still is nowdays. Unlike the Capeverdean recipe sorghum is being used though instead of maize. 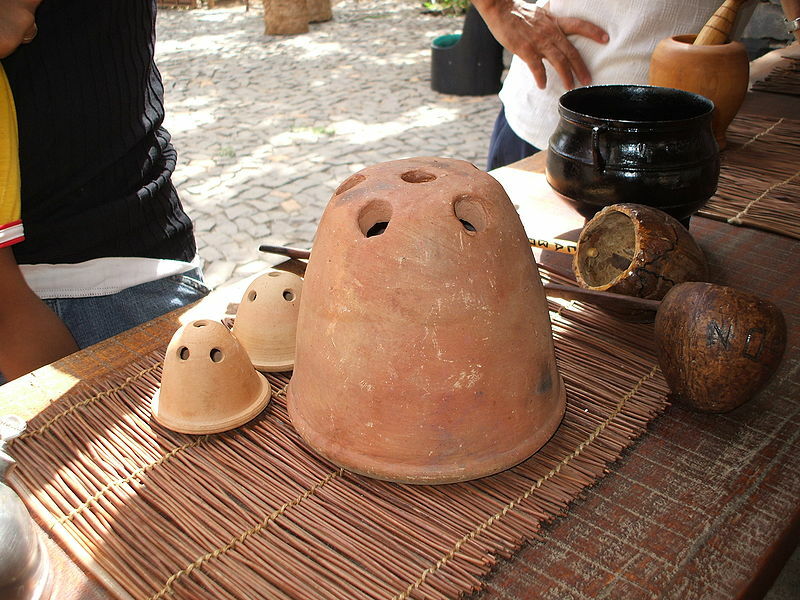 Em fins do século XV resgistava-o Valentim Fernandes [4, 5] como tradicional entre os gilofas, ouolof, leibous, do Senegal: “Cuscus he do seu principal comer q fazem de milho zaburro (sorgo) s. pisãno e huu morteyro de pau q tem pera ysso e despois ho secã”. E continuam os wolof do Senegal com a mesma predileção, como notou Gorer: “Senegalese couscous is also much appreciated; it is a foundation to a dish rather than a dish itself, for a variety of sauces can be served with it”. The name Cuscus itself is of Berber origin, the Portuguese would have been familiar with it already before Cape Verde was settled in the late 1400’s, however the Senegalese might also have known the word back then. So it could have been transferred to Capeverdean Crioulo either way. However the word Binde is definitely of Wolof origin. 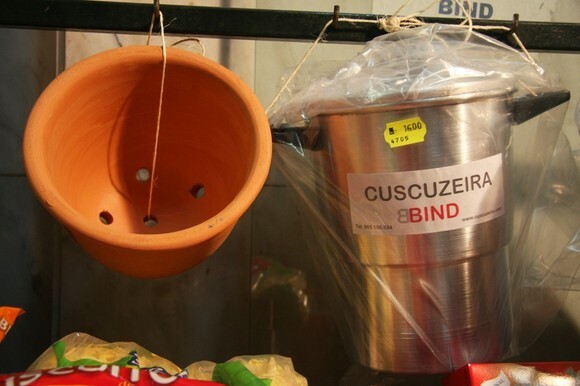 Capeverdean Cuscus is being made in this container called Binde.